Canter Mane and Tail Conditioner Equimist Spray is formulated to keep the mane and tail sleek, tangle-free and luxuriously soft. Canter Mane and Tail condtioner won the Your Horse 2012 Best Product award (for the sixth year running!) and has also won the British Equestrian Trade Association Test of Time award. This mane and tail conditioner has powerful detangling properties and helps to reduce hair breakage, making brushing manes and tails quick and pain-free. 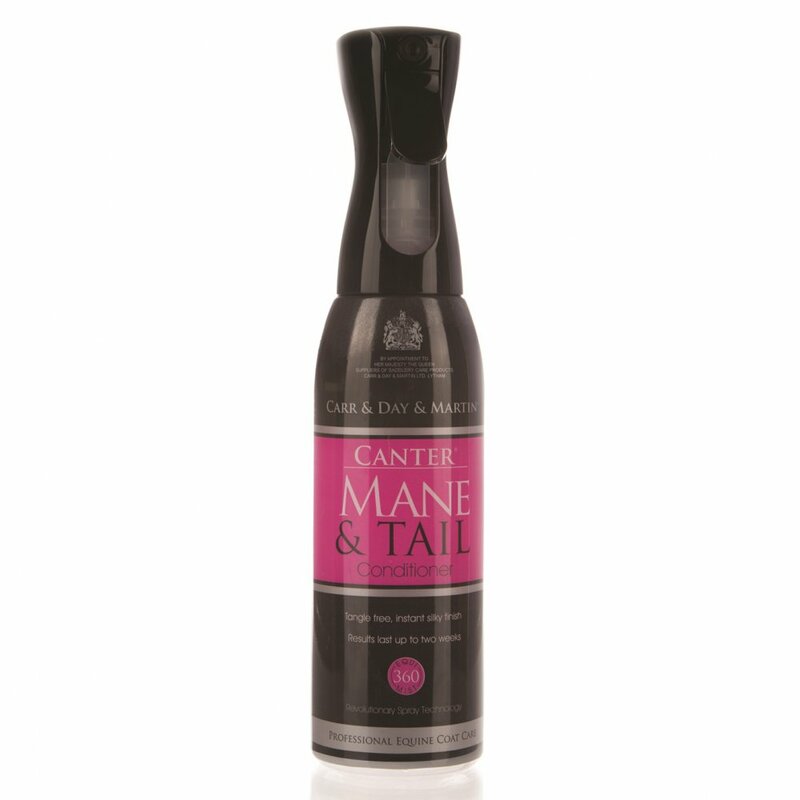 Canter Mane and Tail gives an immaculate, oil-free shine, making it ideal for competition as well as everyday use. This mane and tail is packaged in an Equimist 360' bottle, made with revolutionary spray technology to increase coverage even when applied upside down. Equimist produces a fine mist and has a quieter spray than traditional trigger bottles so can be perfect for horses that are often spooked by noises. Spray Canter Mane and Tail Spray evenly over the tail and brush through with either a soft body brush or comb. When using on the mane spray on the top and underside and brush or comb through. This conditioning spray can be used on both wet and dry hair, for best results use after Gallop Shampoo. Results are immediate and will last up to two weeks.